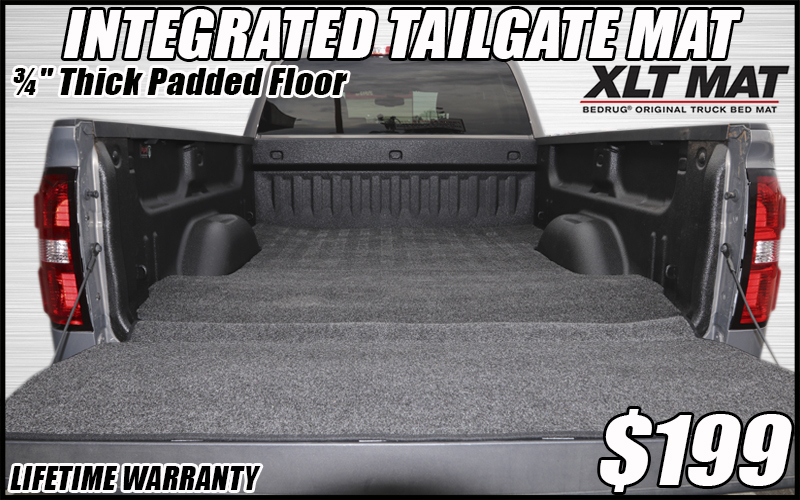 The XLT Mat is made to fit your specific make and model, filling in the ribs and contours of the truck bed to provide a smooth, void-free loading surface. The integrated tailgate hinge covers the gap between your truck bed and the tailgate, this will eliminate the annoying build-up of debris between the two pieces. This mat will protect your truck while standing up to whatever you can throw at it: from mulch to bleach. The XLT Mat’s polypropylene material is fade and UV resistant. The ¾” thick foam is similar to that used in life jackets and will not absorb water, resisting mold and mildew. Water will simply run off the surface.